Check out our founder Terase’s latest restaurant review in the Echo Newspaper online. 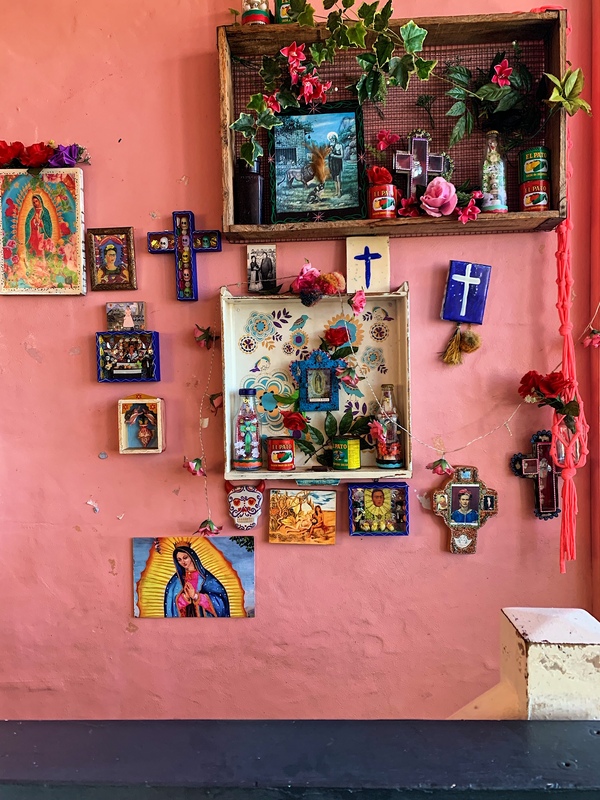 Miss Margarita is a much-loved regular hangout for locals and holiday makers, and for good reason too! 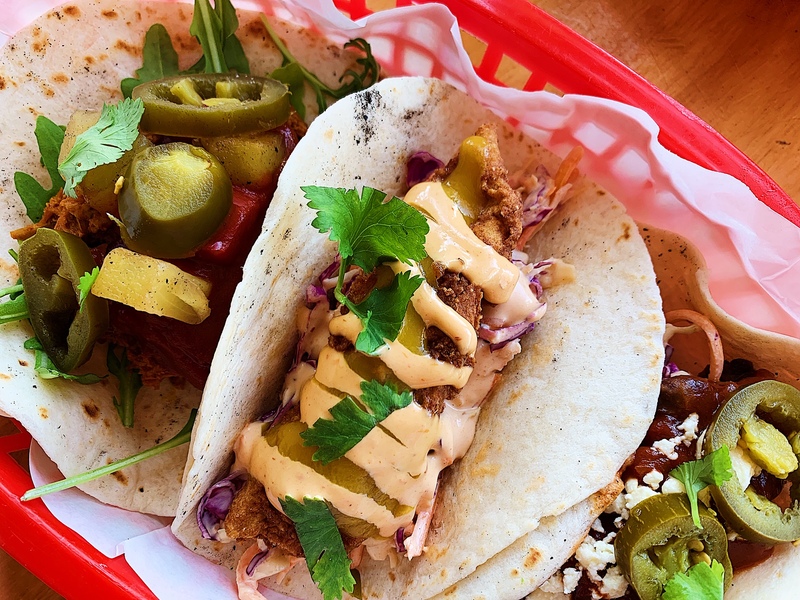 These guys have totally nailed the golden triangle of epic food, friendly service, awesome drinks and banging good times… oh wait that’s four things… oh well, I did say these guys were good at what they do! 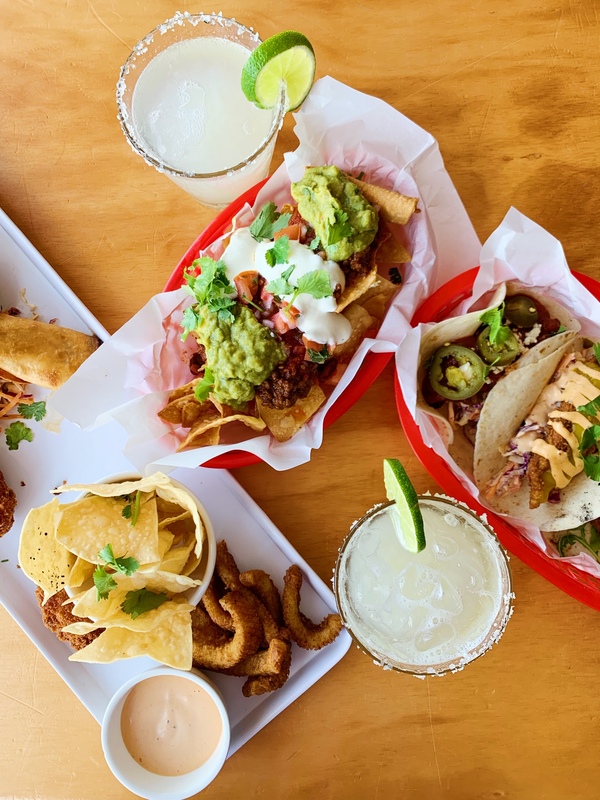 If you are straight off the beach and keen on a quick lunch with fresh Mexican flavours, you can grab a Lunch Deal Combo of any three Tacos for $17 OR two Tacos and a Tecate Beer or House Wine for $17 – hello happy holiday vibes! And if you’re into sharing food with your mates like we are, I’d recommend you treat yourself and your tastebuds to the Appetiser Taster for $30, a generous serving of Jalapeno Poppers, Cheeky Changas, Salt & Chilli Lime Squid, Corn Chips, Chipotle Mayo & Guacamole, so tasty and authentic that you may find yourself wanting to jump up from your chair and spontaneously start doing the Jarabe Tapatio! The dinner menu turns it up on flavour even more with a fabulous selection of yummy Fajitas on offer. 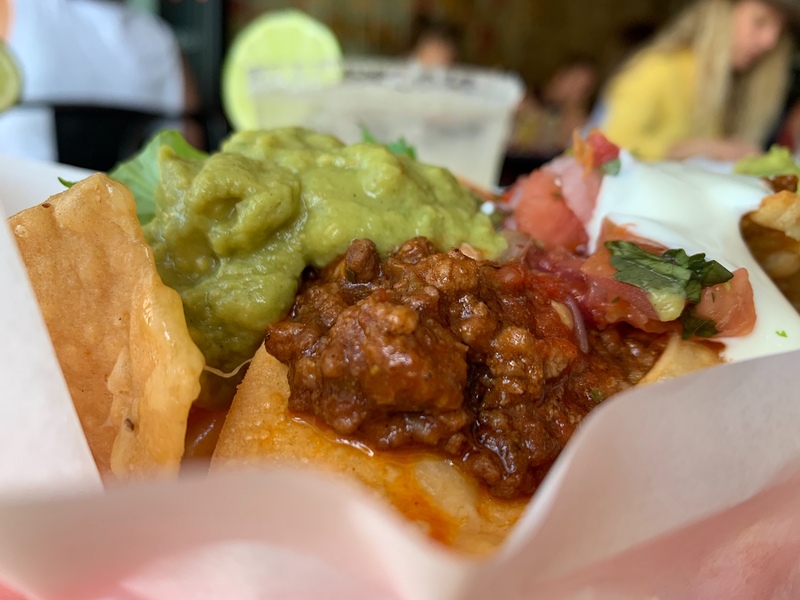 My absolute favourite is the Grilled Achiote Prawns with Spanish Chorizo $31, which arrive sizzling on a hot plate along with 4 soft flour tortillas, plus fresh guacamole, pico da gallo, chipotle slaw and sour cream. An epic feast for one, or another perfect excuse to order more dishes to share with your dining buddies. So, I reckon making great cocktails is much like making great food, you need to start with quality ingredients and do the simple things really really well. 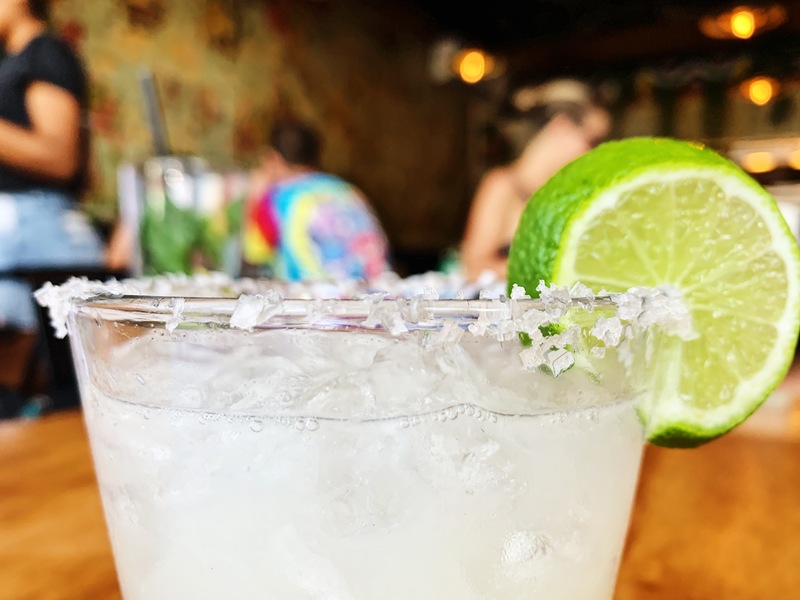 The hugely popular Blanco Margaritas for $16 at Miss Margaritas, is a prime example of dedication to ingredients and flavour. Made using 100% Agave Tequila, freshly squeezed lime juice and served shaken on the rocks with a salt rim! I’ve never been to Mexico, but I have enjoyed quite a few margaritas in my life time and these guys are on the Blanco Margaritas winners’ podium in my opinion! Happy Hour is available 7 days a week from 5pm – 6pm, ticking the perfect summer holiday goal of coming straight off the beach all salty and loving life, having a cold beer or cocktail in your hand and some fresh Mexican food coming your way!